I found another good spot to eat before the theataaah. OK, so it’s more Hell’s Kitchen than Times Square, but the service is speedy enough to get you to your seats on time. On 49th and Ninth, Ponche Taqueria & Cantina is a 20-seat taco shop with good, cheap food: $6 fresh, creamy guac, $7 quesadillas, $3 tacos or $12 for three (with a side of not-special rice and beans). *And yes, you can mix-and-match taco types. * The must-get is the pescado: lightly battered mahi mahi with pickled cabbage and a light chipotle mayo sauce. 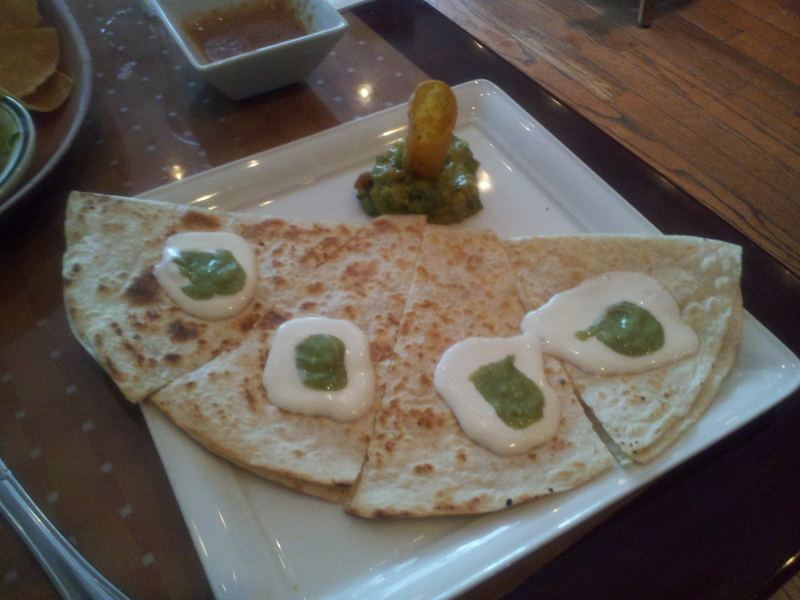 I also liked the camarones taco. And the carne asado taco. So what if I like tacos? My only complaint: mostly flour tortillas instead of corn. But at least they don’t double wrap. FYI, this is not some hole-in-the-wall: It’s clean, with friendly staff and nice food presentation—and actual wine glasses for BYOB. If you want to imbibe, stop by the shop half a block away on Ninth—no corkage fee unless you’re drinking bottle after bottle. Liquor license is in the works, but because there’s a school across the street, booze sales may be limited to certain hours. Location is removed enough from the aggravation of Times Square but not so far to be inconvenient. The post-curtain crowd was a bit young (must be the prices! ); sit near the front for the best acoustics. Oh! And 10% off your bill if you pay with cash. If you’re under 35, there are two programs that offer cheap theater tickets to great shows, even on Broadway. FREE to sign up. No rush, no lottery, no camping out overnight—reserve your seats in advance like a real person. Hiptix: $20 for any show by the Roundabout Theatre Company—even Anything Goes. Bonus: Occasional post-show parties with snacks/drinks. LincTix: $30 for Lincoln Center Theater shows, including War Horse. Plus: An offshoot of LCT, shows at LCT3 feature the work of new playwrights, directors and designers. Tickets are always $20—for all ages. Entrees are similarly special: I had Pan-Seared Tilefish with Sauteed Swiss Chard and Rhubarb Buerre Blanc. And a 5-Spoke Tumbleweed (it’s a cheese, dummy!) Poutine. While a $14 side seemed a bit ridiculous, it was the only exorbitantly priced thing on the menu—and it came on a huge plate. For dessert: the not overly sweet and pretty much perfect Chocolate Bourbon Icebox Cake with Bourbon Vanilla Ice Cream. You can eat well near Times Square! You can make a reservation! You can enjoy pleasant, knowledgeable servers! You can go on a MONDAY when the already reasonably priced wine list is half off! Sometimes you see a show on Broadway and think: This is why I live in NYC. This is why I go to the theater. And this is why art is great. That’s how I feel about The Normal Heart. Set in 1980s NYC as the AIDS crisis is beginning to unfold, this revival is intense and upsetting. It is political, emotional, sexual. Ellen Barkin and Joe Mantello give particularly fierce performances, but the entire cast is great. What’s most impressive is how the play still feels relevant, even though the face of AIDS has changed. Unlike How to Succeed in Business..., which seemed antiquated in parts, Normal taps into feelings of frustration, lack of cooperation and resentment that can also be applied to other modern-day unsung causes. It is both rewarding and maddening to watch the characters spin their wheels without hope—fighting the mayor, the president and each other—as the epidemic spins out of control. Last week I was lucky to catch When I Come to Die, the latest play from Lincoln Center Theater’s LCT3 group. Connecting new artists with new audiences, LCT3 serves up quality theater for $20—that’s only $7 more than a movie. 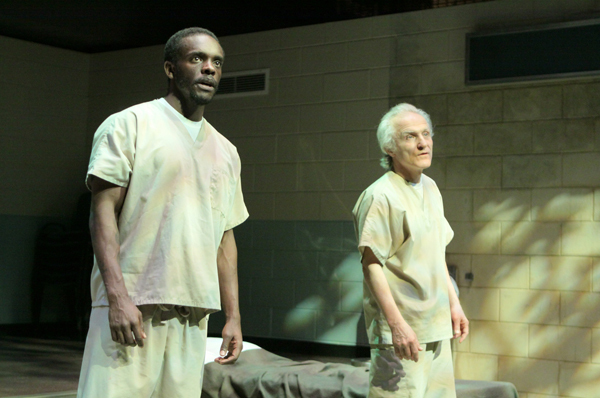 When I Come to Die is a somber look at life and friendship on death row, as Damon Robinson (played by Chris Chalk of Fences) explores why he survived a lethal injection.